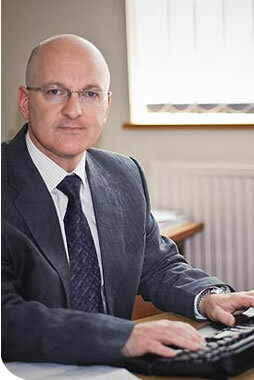 I have been a Consultant Surgeon for over 12 years, initially in Derby, and for the last 6 years, after the arrival of our twins, in the beautiful County of Herefordshire. I specialise in the treatment of disorders of the bowel and pelvic floor and the repair of abdominal wall and groin hernias. I qualified from Liverpool Medical School in 1987 and, after a period of training in hospitals in and around Liverpool, I passed the examinations to become a Fellow of the Royal College of Surgeons of England in 1991. Not everybody I see needs an operation. Often, an opinion and advice is all that is required. If an invasive investigation or surgery is needed, I will keep you fully informed of the aim and intended outcome of these as well as the potential for any side effects or complications. Where choices or alternatives exist, I will make sure you have the necessary information so that we can decide on the best treatment plan together. I subscribe to Eido healthcare's patient information library supplying my patients with written, up to date, well referenced information about their condition or proposed surgery for them to keep.